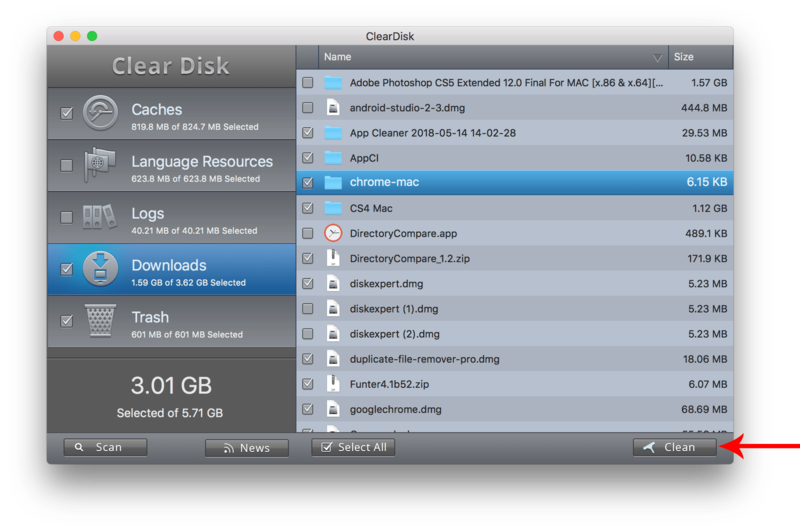 ClearDisk is a quick solution to manage the free space on your Mac. 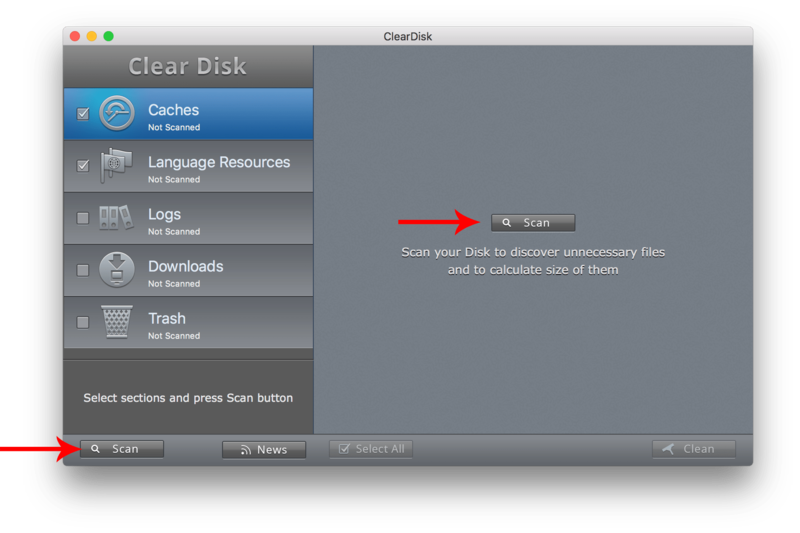 ClearDisk saves both your time and your Mac resources for something more important. Launch ClearDisk and click to scan your disk. The app will find the unnecessary files and display them with a short explanation text. 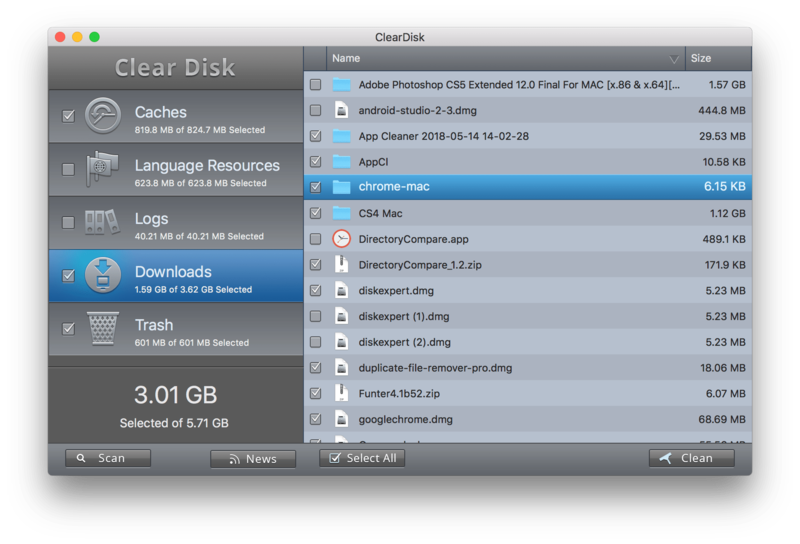 Click the Clean button to remove unnecessary files. ClearDisk helps you to get rid of unnecessary files quickly and efficiently because it searches for them in those places where they congregate. Save your time and disk space with ClearDisk!